I cannot stand James Joyce. Dubliners bored me, but at least I finished it. I struggled my way through the first half of Ulysses and gave up when I could take no more. Finnegan's Wake is utterly ridiculous; I decided to read in it college so I could be "sophisticated" and didn't even make it through the first PAGE. I mean, really. After all that I haven't even looked at Portrait of the Artist as a Young Man. I don't expect it would change my mind. Dublin as a city is very much attached to Joyce. There's a bust of him in St. Stephen's Green and a statue just off O'Connell Street, fondly known to locals as the Prick with the Stick*. He has not one but two museums devoted to him - one in North Dublin and one in Sandycove - while all the other Irish writers (and there are many) have to share one between them. There are endless tours of Dublin featuring places from his life and writings, some of which have been converted into shops selling Joyce-related paraphenalia. Joyce even has his own special day: June 16th is Bloomsday, the day in the life of Leopold Bloom as chronicled in Ulysses. On Bloomsday (and the whole weekend before) fans of Ulysses hold marathon readings, stage performances of events from the book, eat Irish breakfasts with kidneys just like Bloom, and retrace Bloom's path through Dublin dressed in Edwardian clothes. Like you do. As much as I dislike Joyce's work, I love Bloomsday. A whole city-wide literary celebration! 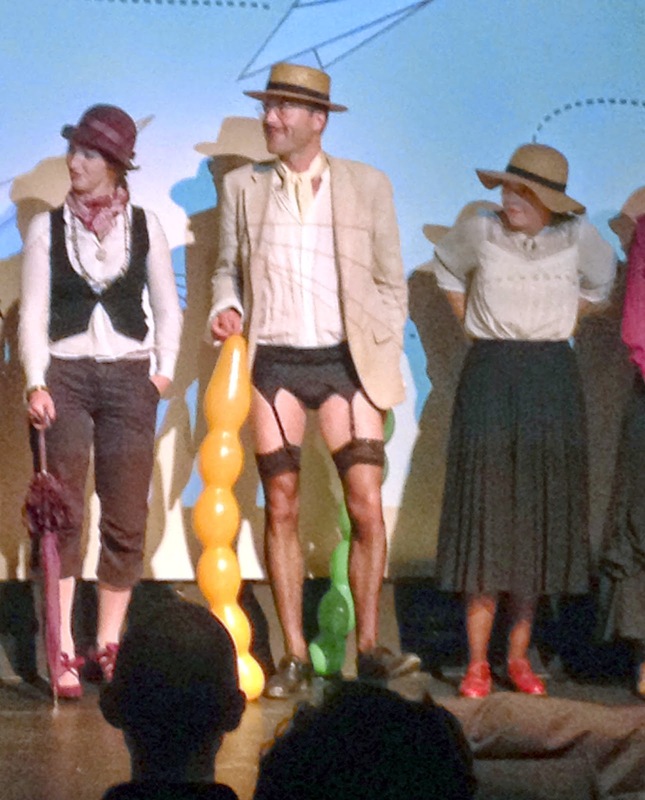 And it's not all stiff reverence: the highlight of the event (for me at least) was Romping Though Ulysses, a Rocky Horror-style showing of the 1967 Ulysses film complete with props and heckles and a costume contest. I have no desire to ever see that deadly dull movie without a crowd of people making animal noises and throwing paper planes, but with those things it was excellent! Now I just need to find a city with a fun multi-day festival for a book I actually like, and move there. I'm not holding my breath. *Dubliners love to give their statuary irreverant rhyming nicknames. In addition to the Prick with the Stick there's also the Hags with the Bags near the river, and a statue of Molly Malone has a variety of racy titles inlcuding the Tart with the Cart and the Trollop with the Scallops. (It rhymes if you say it Irishly enough.) More on this phenomenon here.